So you’ve finished your first novel (your memoir or a nonfiction or children’s book) and you’re seeking publication. 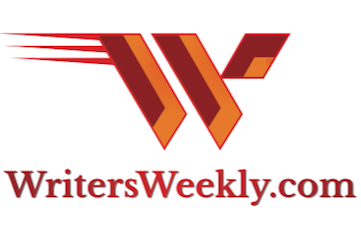 You’re ready to leave the solitude of your writing den and make yourself known in the publishing community. It shouldn’t take long to snag a publisher. You’ve certainly worked hard on your book. And every relative and friend who has read it gives it a thumbs up. The hard part is over, right? It’s down hill from here, isn’t it? As the title of this article indicates, getting published is easy. Success is just a few decisions away. I’m sorry folks. I lied. Just as there is no such thing as free money, there is no easy way to achieve success as an author. Some of you will stop here. You don’t want to read or hear the hard truth about publishing. You enjoyed writing your book and you envision continuing in creative mode throughout the publishing process. It’s bubble-popping time. The crude reality is that publishing is not an extension of your writing. While writing is a craft – a heart thing – publishing is a highly competitive business. Sure, you worked hard on your book. You’ve done rewrite after rewrite. You may have pursued a little or a lot of research. There’s no doubt about it, writing a book is a seriously hefty undertaking. But publishing a book is hundreds of times more difficult. And I kid you not, what comes next – after you have a published book in your hands – is even more intense and involved. Can you guess what it is? More on that in a minute. First, let me say that, while it’s actually fairly easy to get published, the challenge is to experience success as a published author. Did you know, for example, that there were only 10 titles in 2006 that sold over a million copies? Seventy-six percent or 948,000 titles, that year, sold fewer than 100 copies. The next largest percentage is 17 percent representing titles that sold between 100 and 1,000 copies. How does a hopeful author succeed in this extremely competitive publishing climate? It’s simple. Not easy, but simple. Look, it only involves 2 steps! 1: Study the publishing industry. Yes, take time to familiarize yourself with the way the industry works: what are your options, the possible consequences of your choices and your responsibility as a published author? Which option is best for you and your particular project and why? How do you approach the publisher of your choice – what is the protocol? Here are some things to consider? Publishing is not a one-size-fits-all proposition. What is right for one author and one book may be absolutely wrong for another author and his/her project. Publishing is a business and it must be approached as such. You wouldn’t open a computer store in your neighborhood without knowing something about the industry and the products. You’d research manufacturers and suppliers, and you’d learn something about your competition and your customers’ needs and desires. These very important things must be taken into account when entering the publishing field, as well. Read books that actually discuss aspects of the publishing industry. I recommend, “The Right Way to Write, Publish and Sell Your Book,” by Patricia Fry (for an in depth view of the industry, all publishing models and everything related to book publishing and promotion); “The Fine Print,” by Mark Levine (for information and recommendations about vanity publishers) and “The Self-Publishing Manual” by Dan Poynter, (if you want to establish your own publishing company). Join publishing-related organizations such as SPAWN (Small Publishers, Artists and Writers Network), www.spawn.org; PMA, The Independent Book Publishers Association, www.pma-online.org; and/or SPAN (Small Publishers of North America), www.spannet.org. Participate in the organizations you join. In particular, read their newsletters, study the articles and resources at their websites, join in at their online forums and discussion groups. You’ll learn volumes. Attend writing/publishing conferences. Learn about those in your area through http://writing.shawguides.com. Or do a Google Search using keywords, “writers’ conference Atlanta” or “San Francisco writers’ conference,” for example. 2: Write a book proposal. 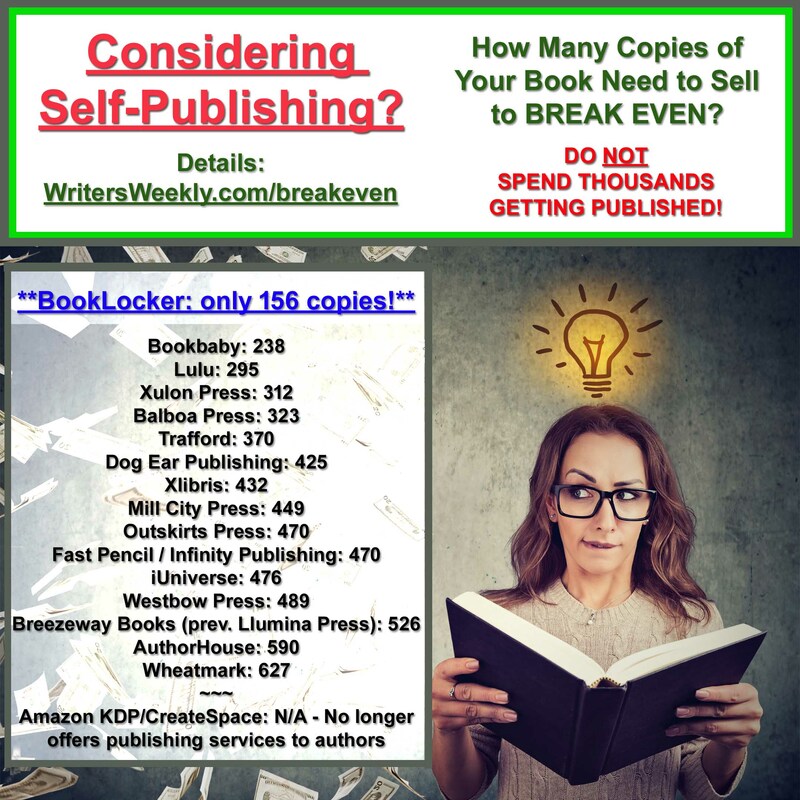 Whether you plan to land a traditional royalty publisher, go with a fee-based POD “self-publishing” (vanity) company or self-publish (establish your own publishing company), write a book proposal. Preferably, you will do this even BEFORE you start writing your book. But it’s never too late. In fact, I recently wrote a report called the “Post-publication Book Proposal.” Let me know if you’d like a copy of it: plfry620@yahoo.com. A book proposal will tell you whether you have a book at all. Is it a viable product? It will help you to identify your target audience, discover where they are and how you’ll reach them. And it will show you how to establish your platform (your way of attracting readers). 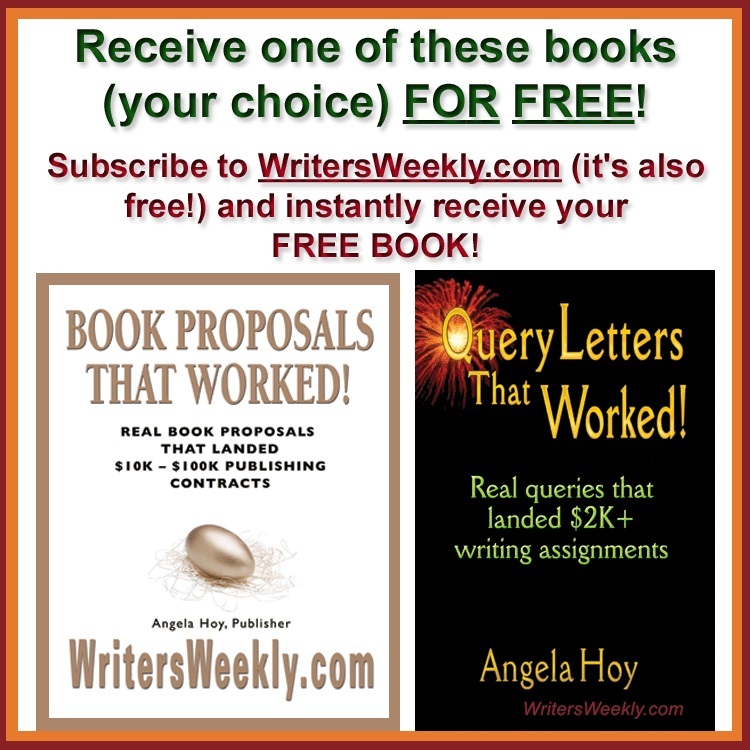 A properly researched book proposal will also give you ideas for building promotion into your book. I mentioned earlier that there is a task ahead of you, as a published author, that is more intense and involved than the process of landing a publisher or producing a published book. Have you guessed what it is? It’s promotion and marketing. No matter which publishing option you choose, you will be expected to promote your book. Sure you can purchase marketing programs from your fee-based POD “self-publishing” company, but they’re only as good as whatever efforts you expend. Your traditional royalty publisher will promote your book to an extent, but it will be up to you to take the lead in marketing it. For your children’s book, teach a character trait such as honesty, loyalty, giving/sharing, integrity, responsibility, etc. This expands your reach when it comes to promoting your book. You can promote to religious organizations, get reviews in the many Christian magazines and newsletters, have your book included in programs that deal with character issues, have it more acceptable to librarians, school teachers, etc. For your romance novel, give a main character a horse, motorcycle, beach house, disease or affliction that you can use to increase your reader base. Set your story in a city that would be conducive to promotional activities. 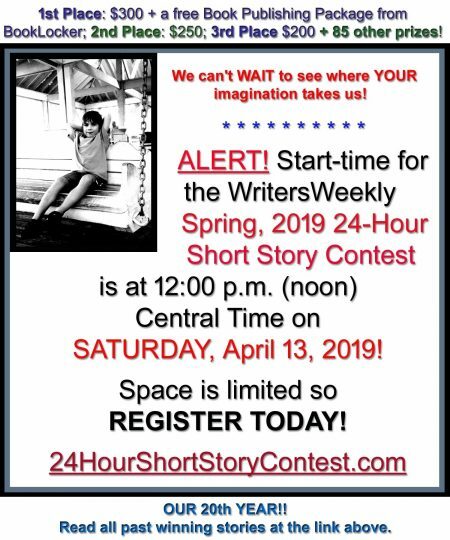 Not only will your readership include those who love romance novels, but possibly people interested in how your hero gets along after a brain injury or with child-onset diabetes. And you may even get some help with promotion from a major organization related to a disease, affliction, hobby, lifestyle, etc. that you point up on your book. For your nonfiction book, include a lot of people. List people whom you talked to while writing your book. Quote some of them in your book, list people and agencies in your resource list, etc. So there you have it: the easy way to publishing success in 2 simple steps. Take this recommendation with an open mind. Honestly scrutinize the potential for your project, be willing to make hard executive decisions and even changes to your manuscript, and you will most likely experience the success that you desire. Patricia Fry is the author of 27 books, including the newly revised, “The Right Way to Write, Publish and Sell Your Book,” and the accompanying, “Author’s Workbook.” www.matilijapress.com/rightway.html”>. Follow Patricia’s informative blog at: www.matilijapress.com/publishingblog.